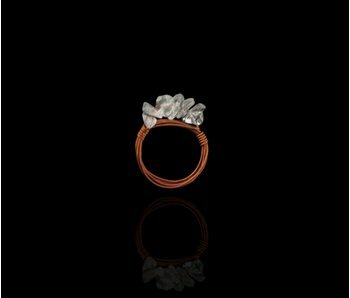 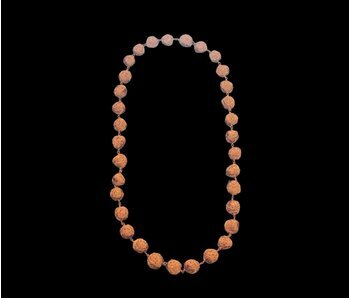 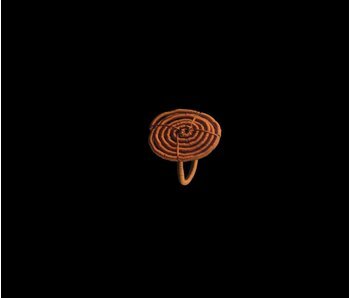 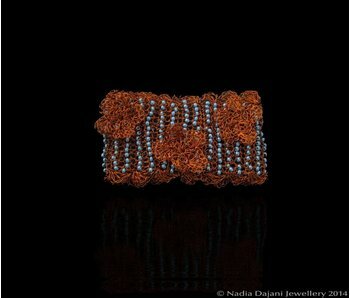 Copper beads made from thin copper wire, and linked with copper wire. 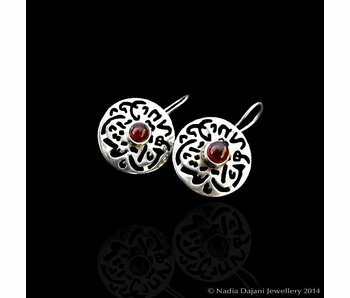 Arabesque floral motif on a silver chain bracelet with an amethyst stone. 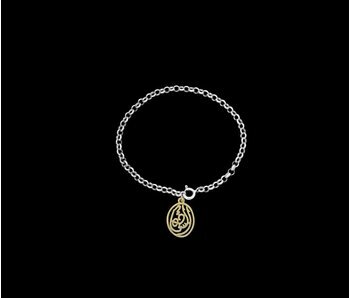 Silver chain bracelet with a silver gold plated word pendant. 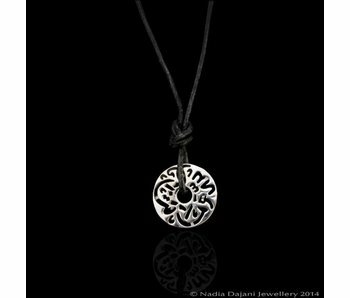 Choice of words: Love, Happiness, Good health, Friendship. 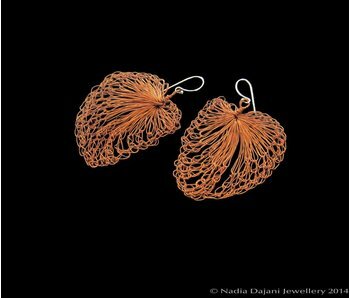 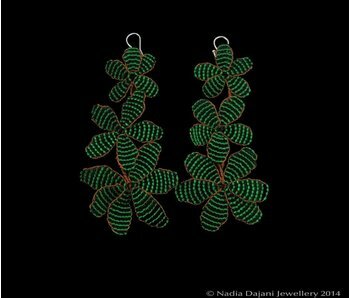 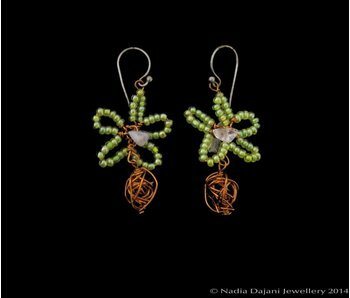 Made by our most skilled artisans, these triple flower earrings are intricately made with copper wire and glass beads and are available in many colours. 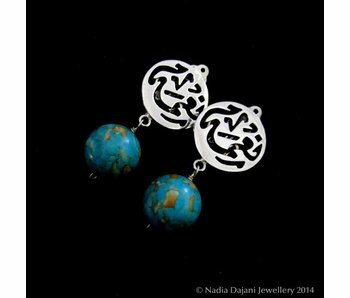 Silver clip-on earrings with the word Well being inscribed in Arabic calligraphy, and a turquoise gemstone bead drop. 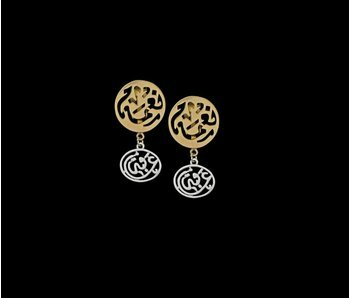 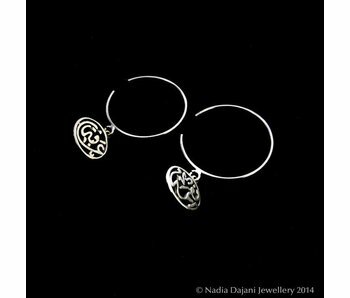 Two tone silver clip on earrings with the words 'Good health and wellbeing' inscribed in Arabic calligraphy. 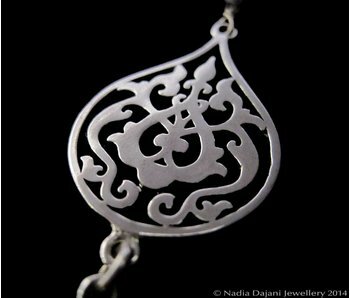 Top part is inscribed with the word نعمة Nimah, the dangle has the word عافية Afia. 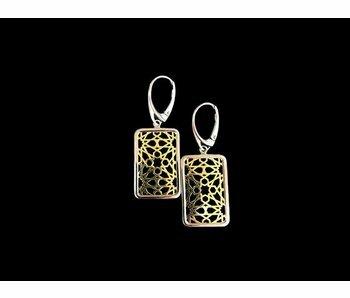 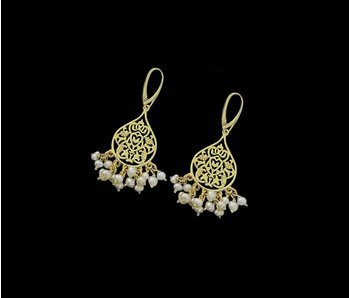 Silver gold plated small Arabesque motif earrings with pearl or turquoise gemstone dangles. 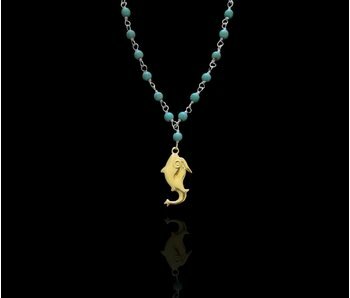 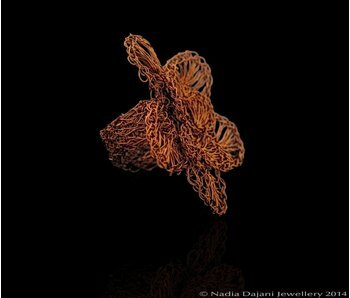 Stone wire necklace with a stylised Jerash fish, inspired by the fish carved in the basin in front of the Nymphaeum in the Roman city of Jerash, Jordan. 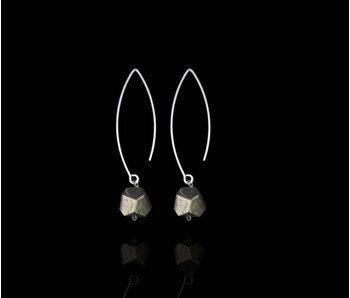 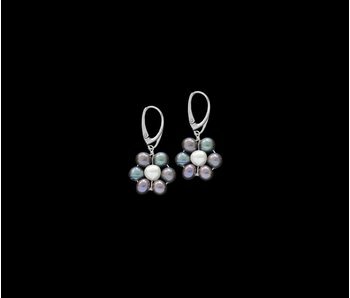 Grey freshwater pearl flower earrings with a silver French hook. 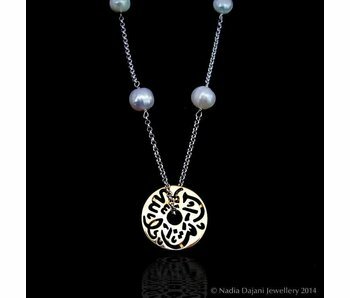 Silver chain with freshwater pearls with a silver gold plated disc with Masha'Alla inscribed in Arabic calligraphy. 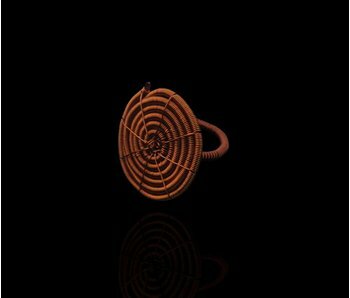 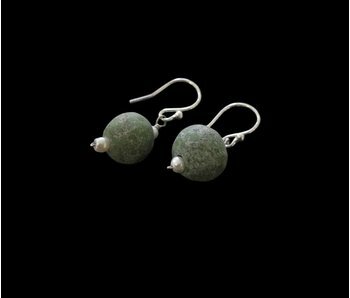 A simple earring hook with a Kunouz stone from the Jordanian desert. 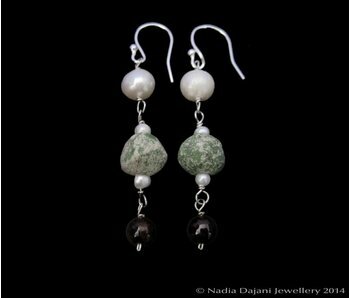 Earrings with a kunouz stone from the Jordanian Desert with a freshwater pearl above and an amethyst stone below.